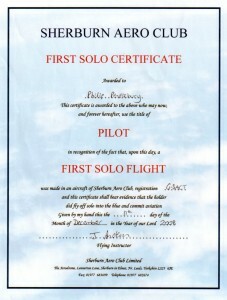 At approximately 13:30 today I completed my First Solo flight. What an absolutely awesome experience. After doing four circuits with my instructor Jonathan Anderson, he was happy enough to send me up on my own. It was quiet in the cockpit and a little surreal. Beautiful weather with just a little crosswind. I completed the circuit with no problems, especially considering that the HI (Horizontal Indicator) was not working, which means there is no official indication of angle of bank etc. The landing was spot on and afterwards the feeling of exhilaration immense. I am now officially Captain Pendlebury (at least I was for about 30 minutes). 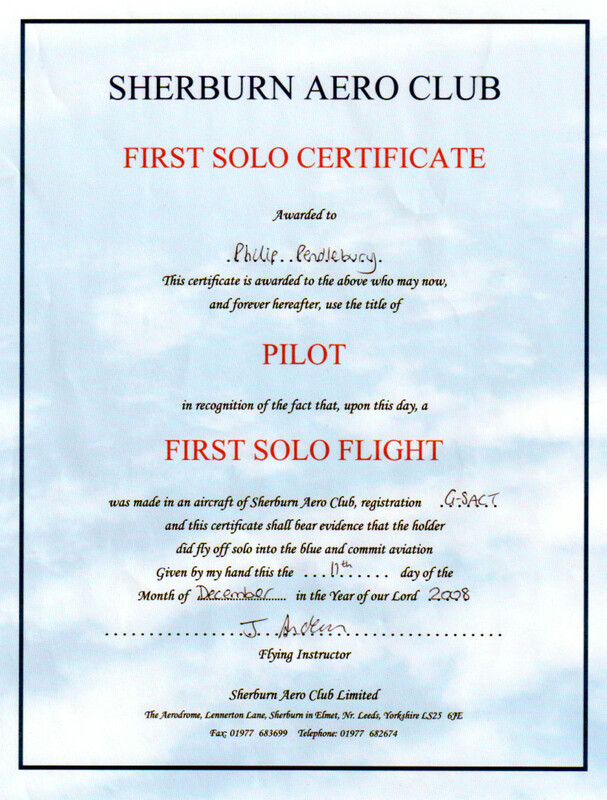 Although it will still be a good while until I am ready to gain my actual PPL License the First Solo is a major step towards it.